When we booked our holiday to Lapland in February, one of the biggest questions to consider was when to tell The Bears. However, leaving it too late means they won’t have time to prepare. YouTube is full of cute videos of parents waking up their children in the night to tell them they are going on holiday to see Santa right now. Not us. It would send The Bears into a spin and completely ruin the trip. So we’ve decided to tell them this weekend – four days before we go away. Hopefully this will give us enough time to prepare them for what’s coming and share videos, booklets and social stories about the different aspects of the holiday. For families with children on the autistic spectrum, preparation, or the lack of it, can make or break a trip. 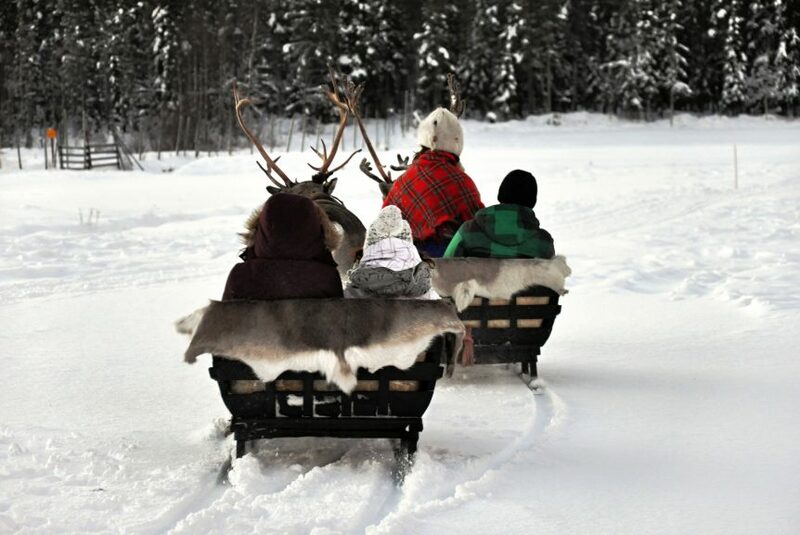 With Lapland being a particularly special holiday, I want to make the announcement special too. I’ll share exactly how we’re doing this in another post but ideas include a treasure hunt to find letters spelling out the word ‘Lapland’ or creating special boarding passes for the children to find. Whatever way you choose, make sure it’s not too overpowering if they are easily overwhelmed. Make sure you have a holiday booklet ready – either in digital form or a hard copy, containing lots of photos and details for what to expect. Be sure to include various areas of the airport, holiday accommodation, the area you’ll be staying in as well as any activities you’ll be taking part in. Look through it every day and take it with you so they can see exactly where they are going and what to expect. Show them the hotel’s website. Some places have videos showing you round the accommodation or activities you’ll be taking part in, which can help to create a fuller picture of what to expect on the holiday. Think about what situations the child might need to understand and consider creating social stories to help them prepare eg. preparing for change, the airport, delays, last minute changes to plans to help with anxiety issues. It’s reassuring for children on the autistic spectrum to know what’s coming up after their current activity, especially when they’re out of their usual routine. Use photos from your holiday booklet to create prompts for your Now and Next board so the children know what to expect next. Or you could create a visual timeline for each day to show them what you’re going to be doing and when. Talk to them about any worries they might have about the trip. Read a relaxation book to help reduce anxiety or get them to write down or draw their worries and post them in a worry eater. Sharing is caring! Please share this post with someone who might find the information useful. If you’re planning a family holiday or looking for days out in the UK, don’t forget to sign up to my email list to receive exclusive news and top tips to help you prepare. You’ll also receive a FREE 10-page holiday activity book to help keep the kids occupied on journeys as a welcome gift.